Japan’s coastguard vessels have used water cannons in an effort to push the Taiwanese flotilla out of what Tokyo claims to be its territorial waters near the disputed islands in the East China Sea. 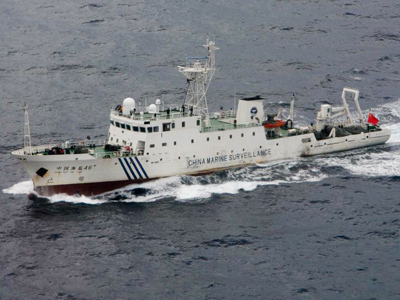 Taiwanese boats escorted by patrol ships have now reportedly left the disputed waters. 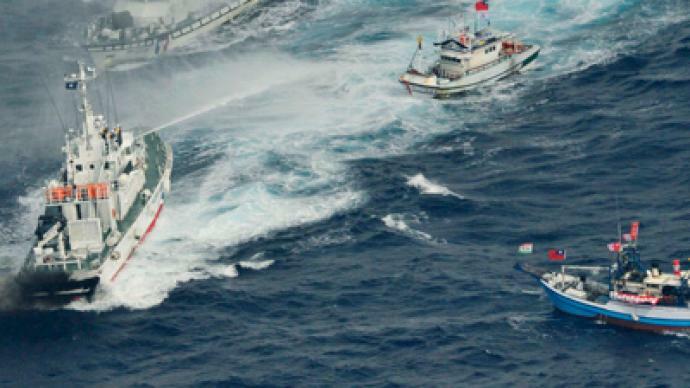 At least 40 Taiwanese ships breached Japan’s naval border early on Tuesday, the country’s coastguard said. 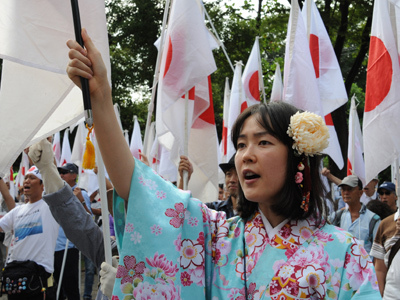 The flotilla was met by Japanese patrol ships that used water cannons in order to stop the vessels from reaching the largest island in the area, Uotsuri-jima. Local television broadcast the fierce sea battle between the Japanese ships and Taiwanese patrol vessels that also used water cannons. 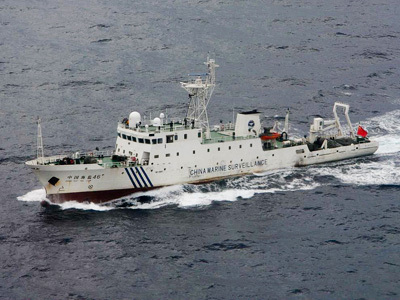 The vessels are part of a fleet that departed from Taiwan on Monday promising to claim the Senkaku (Diaoyu) islands which Taipei says is part of their ancestral fishing grounds. “Fishing rights are more important than sovereignty, but fishing rights also means sovereignty,” activist Chen Chunsheng, who is organizing the flotilla, told AFP. Earlier on Tuesday three Chinese patrol vessels briefly entered waters which Japan considers its territory and now remain very close to the uninhabited but strategic archipelago. 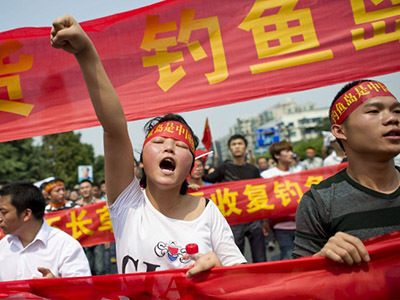 The latest intrusion complicated the already tense confrontation between Tokyo against Beijing, which also has claims over the islands. Relations between Japan and China have soared this month after Japan nationalized three of the islands, buying them from a private Japanese landowner. 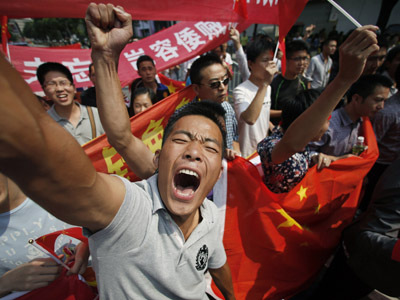 Beijing has protested and China has seen a massive nationalist upsurge. Now Taiwan, which China considers to be a province of its, is also stepping up efforts to claim the territory believed to be rich in energy resources. Meanwhile, Japanese Vice-Foreign Minister Chikao Kawai is in Beijing for talks with his Chinese counterpart Zhang Zhijun aimed at easing the tension.